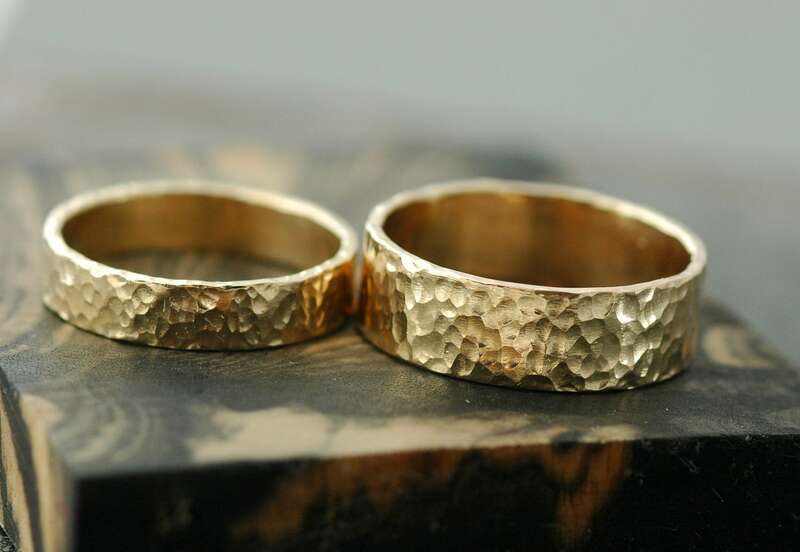 This is a matched set of 14k gold wedding bands. 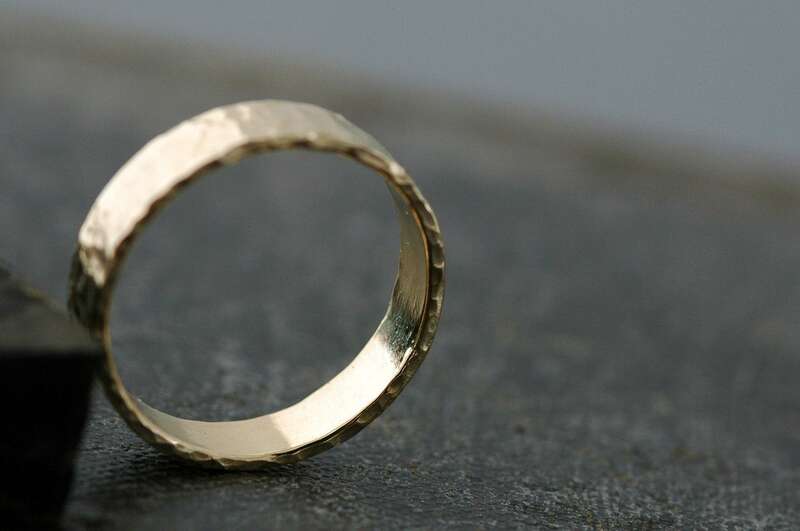 I have shown the rings here in yellow gold, but white gold and rose gold are also available at the same cost. 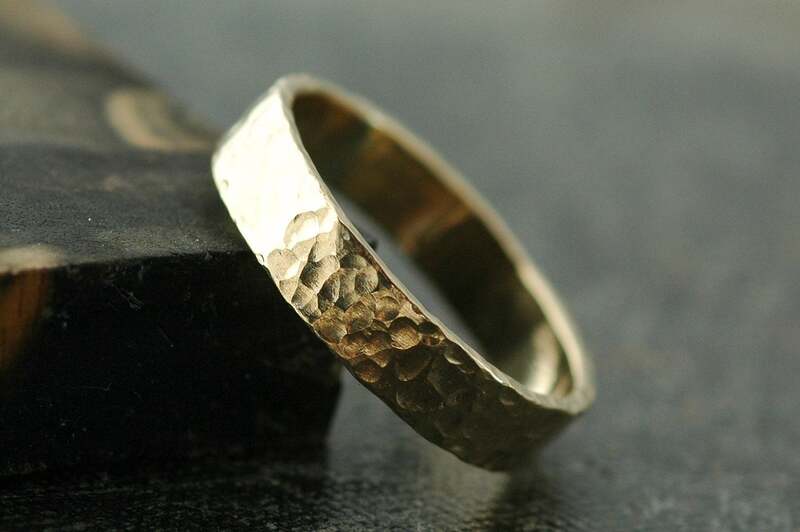 All of the gold you see in my shop is from reclaimed/recycled sources. My gold is smelted in the USA. As well as being eco-friendly, it is also certified as conflict-free, and is SCS Certified. 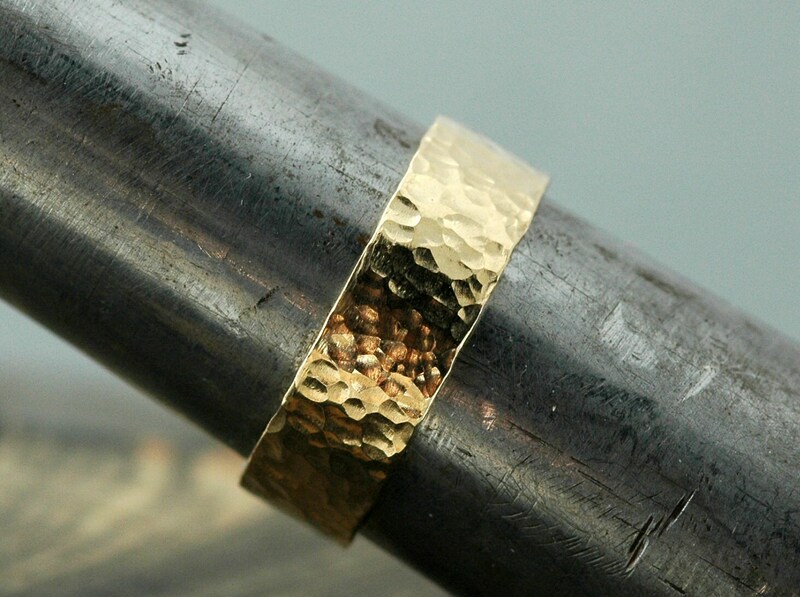 I form each band from a 1mm thick strip of 14k gold. One band is 4mm wide, while the other is 6mm. 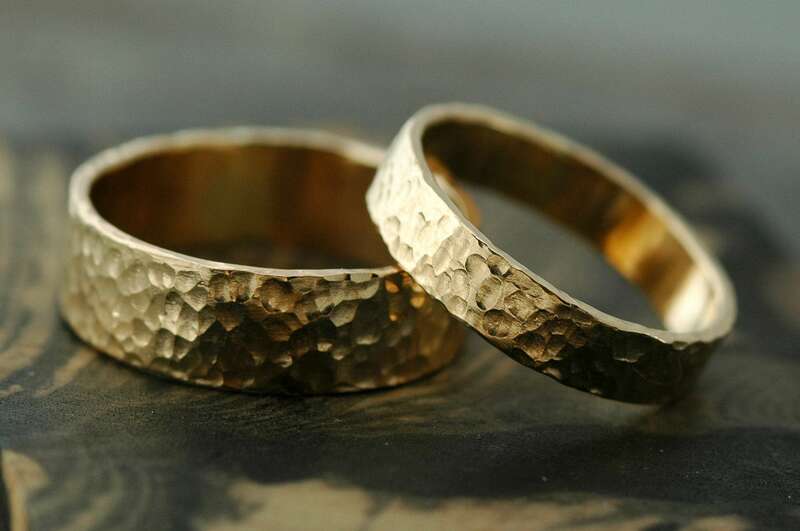 Each is given a hammered finish, including the edges. The insides are polished to a high shine. Please read my shop announcement for current production time and other important information.